Sunday 8th November 2015 is Remembrance day in the UK and is also observed by other countries across the Commonwealth of Nations this month. Many of us will be donning poppies in memory of armed forces who died in the line of duty during the First World War. We’ve compiled a round up of poppy patterns from some of our independent designers to make your own and re-wear every year! Even if you choose to knit or crochet one, why not donate to the Royal British Legion to show your support. Donate here. Which poppy will you be making? Jenni is a craft fanatic with a love of sewing and an obsession with knitting bows. She loves baking cupcakes, discovering new countries and fashion. Last updated: November 4th, 2015. 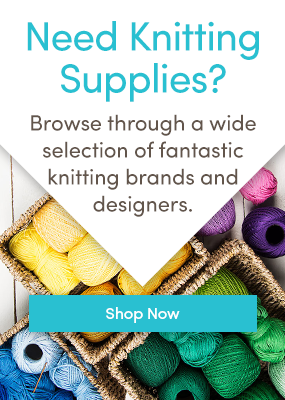 Ravelry and Knitting Pattern Central are a good source for free patterns. We found them very useful when knitting for prem babies. You can use my crochet one for free. Just click https://fondantfall.wordpress.com/2013/08/18/crochet-poppy-pattern/ You’ll find more on Pinterest and Ravelry But many of the ones on the blog above are very cheap – and the money for the pattern also goes to the British legion, so they benefit twice! To get the patterns on the blogpost above, you just click on the poppy you want and it takes you to a page where you can download if for a small donation. Hi I could t read the text im not sure what has happened could it be corrected as i really would like to knit some poppies. Thank you. I should have said the pattern by Laura Chau. Christchurch U3A Knit and Natter group have been selling knit and crochet poppies on behalf of the Britiish Legion. If you wear a poppy year after year, don’t forget to make a donation as well! Great idea – especially as it allows us to recycle but, can I suggest that if we do wear our knitted/crocheted poppies next year we still pop some money into the collection tins? I know Remembrance Day was instituted after WWI, but I’ve always been told that it is to remember all the servicemen and -women who have died in our wars, not just those from the First World War. Is this wrong?